The Bachelor of Business (Sports Management) is designed to equip students with a broad theoretical and technical knowledge required to operate and manage effectively within the sports management field. Throughout their studies, students will investigate the historical foundations of sport, management principles, socio-cultural influences of sport, and the role of governance in sport. They will have the opportunity to investigate the role sport plays in building communities and analyse the importance that professional sport plays in contemporary society. The Bachelor of Business (Sports Management) is a direct pathway into the Master of Business Administration in Sports Management which is delivered through an Australian-only exclusive partnership with the Real Madrid Graduate School. The course is delivered by a mix of world leading industry experts alongside academics and includes a two week placement at the Real Madrid Graduate School in Madrid, Spain. With a multitude of dynamic career focused courses available TUA campuses are buzzing with activity. Purpose built learning spaces, Torrens University’s Campuses can be found in Sydney, Melbourne, Adelaide and Brisbane. Teaching staff comprise of a team of research- and career-oriented academics who, combined with a carefully selected group of global industry partners, help students to bridge the gap between study and work. TUA offers a comprehensive academic avenue to successful employment in a variety of courses, offered both on campus and online in many disciplines. This is a university with a difference! Experience a modern education in contemporary, purpose built, hands-on technology enriched learning environments. Practice your trade in a real clinic, an award-winning restaurant, an operating hotel or an in-house design studio. TUA’s Success Coaches are industry and teaching stars, able to leverage a student’s strengths and align their learning with their broader life purpose. They work with students from their first admission, coaching students to successfully navigate the educational landscape and build personal and professional capability to improve their employability outcomes including self-employment and entrepreneurship. With a focus on the student’s career goals, and trained in Gallup Strengths Quest, the success coaches takes a strengths-based approach to engage with and motivate students for study and career success. The success coach works closely with senior lecturers, to ensure that the students learning experiences makes sense, including readiness for and securing of work integrated learning, placements, internships and opportunities in internal enterprises. Our coaches are qualified industry professionals in the relevant field of study, and are able to give students the inside edge to succeed in their chosen career. Our coaches work with online and on-campus students throughout their journey, ensuring that the student is connected and motivated. 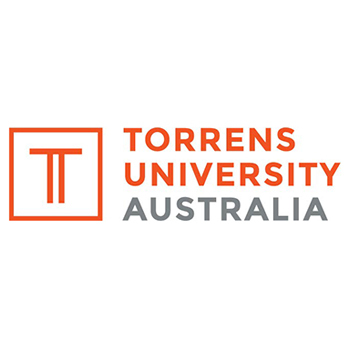 The health courses offered by Torrens University Australia are available online, with a few courses delivered on our Adelaide, Sydney and Melbourne campuses. Developing and implementing effective public policy to help ensure that all people can enjoy good health, regardless of their location or socio-economic status. Start from the beginning or push your career to the upper echelons of public health policy with these undergraduate and postgraduate qualifications – suitable for career ambitions in government, NGO or private consultancy. Get direct and personalised access to our industry-experienced lecturers and learning facilitators, through small class sizes and valuable one-to-one interactions, regardless of whether you study online or on-campus Torrens operates on a trimester system, so, many courses can be completed in less time than at other institutions. Imagine walking out of Torrens with a Master degree in as little as 12 months, or a Bachelor degree in only 2-3 years. Torrens offers a comprehensive academic avenue into to successful employment in a variety of business courses. Combined with Torrens’ globally oriented curriculum our business course specialisations are in business, event management, marketing, communication and public relations, commerce and sports management. TUA business qualifications are respected throughout the industry through the strong reputations of Chifley Business School, the Australian Graduate School of Leadership, Real Madrid Graduate School, Ducere Global Business School and more recently through an exclusive partnership with The Collective Hub. Are you an international student? I agree to the Terms and Conditions & Privacy Notice. I also agree to receive updates from Good Universities Guide. Thanks for the enquiry. The institution(s) will be in touch. Would you like to subscribe to our newsletter? By submitting this form, I agree to the Terms and Conditions & Privacy Notice. I also agree to receive updates from Good Universities Guide. Let us save you some time and get you to a page that matters most. What information are you after? Where do you want to study your course? What level of study are you interested in? How do you prefer to study your course? What field of study are you interested in? Which of the below do you most relate with? Where are you planning on studying? Does any of the below describe you? What rating type is important to you?